Prime Minister Manmohan Singh's skipping the Commonwealth summit in Colombo under domestic political pressure may take some sheen off the meet, but a strong Indian presence will be felt at a gathering of business leaders from developed and emerging markets, showing the importance the country accords to the multilateral forum and the immediate neighbourhood. Representatives from 15 non-Commonwealth countries such as China, the United States, Japan and Brazil will also take part in the Commonwealth Business Forum (CBF) meeting. Sri Lanka is following what Australia did two years ago by inviting non-Commonwealth members to the Forum. The Forum, themed "Partnering for Wealth Creation and Social Development; The Commonwealth, Indian Ocean and SAARC" will be held Nov 12-14. Sri Lankan President Mahinda Rajapaksa will inaugurate the Forum in which as many as 10 heads of state/government will be speaking. A 83-member Indian delegation, the second largest after Britain, will be there to take part in the proceedings, according to Forum Co-Chairman Ajit Gunawardena. The Forum will focus on regional development, sustainable growth of rural economies, tourism and hospitality. Rajapaksa will also chair a roundtable with 45 business delegates selected by the Commonwealth Business Council (CBC) after the final session of the Forum. The Forum will offer an opportunity for the member countries to explore new avenues of investment, build up new partnerships and collectively seek solutions for global trade and investment issues. It is aimed at providing a meeting point for entrepreneurs, investors, government bodies and global technology and knowledge-based industries' specialists. It was at the 1997 CHOGM in Edinburgh, then British prime minister Tony Blair, asked: "Is there a business case for the Commonwealth?" and said urged the 53 nations "not to be reluctant" to take on a economic role. Since then, the world's oldest political association has strived to acquire an economic profile in the face of strident questioning of its relevance. And the Council has been working to facilitate trade and investment across the Commonwealth and between emerging and developed markets, and to increase the role of the private sector in national economies. The special feature of the CBF 2013 will be a focus on building a new, inclusive economic and financial architecture in the global economy. The Forum will focus on the potential for partnership centred on one of the fastest growing regions of the world-- the Indian Ocean Rim. Mohan Kaul, director general, Commonwelath Business Council (CBC), says there are "tremendous opportunities for enhancing pan-Commonwealth trade and investment and contribute to the regional economies." The CBC brings together 120 major companies from the Commonwealth, including many industry leaders and some of the world's largest companies. "We have entrepreneurs from India and UK who will be talking about the opportunities across the world. We hope there will be good networking at the forum," says Kaul. Intra-Commonwealth business has huge growth potential. Trade flows within the Commonwealth amount to two trillion dollars. The similarity in accounting and governance structures and management practices used among Commonwealth countries reduce transaction costs by 10 to 20 percent. 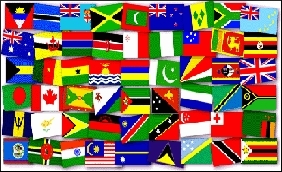 Over 20 percent of global trade take place within the Commonwealth today. An Exim Bank of India study titled "The Commonwealth: Promoting a Shared Vision on Trade & Investment", released during the Perth meeting said Commonwealth countries shared a number of commonalities which needed to be suitably everaged to achieve a greater degree of integration, thereby providing a strong impetus for overall economic development of member countries. It highlighted trade as an important device in achieving further economic integration within the Commonwealth. In terms of investment flows, the study showed that Foreign Direct Investment (FDI) into the Commonwealth has increased at a healthy pace during the decade of 2000s. It also indicated that outward direct investment (ODI) from the Commonwealth also increased, thereby reinforcing the importance of the member-nations as significant players in the global economy. The Colombo event presents a good opportunity for Sri Lanka to look for new partnerships and opportunities. Deputy Minister of External Affairs Neomal Perera says Sri Lanka is looking forward for the CBF to enhance investments in an array of areas such as infrastructure, agriculture and irrigation. Sri Lanka's External Affairs Minister G.L. Pieris goes a step further. "The idea is to focus not on Sri Lanka but on an international hub on shipping, aviation, knowledge based industry and power and energy." At every CBF, the host country benefits most. For instance, $1 billion worth of investment and trade were accrued at Trinidad and Tobago in 2009. In Perth, deals worth $10 billion were sealed for Australia at CBF 2011. For Sri Lanka, a $2 billion opportunity is projected for CBF 2013.